Dark Matter is one of those books that makes you think about life, the universe and... well... everything! What if I'm not the only version of myself? What if there are infinite versions of 'me' and what if all these different versions are living their lives in parallel universes? These are the questions physics professor Jason Dessen must face when he's abducted and awakens in a place where everyone seems to know him but he doesn't know them. I really enjoyed Dark Matter and found it a refreshing read. 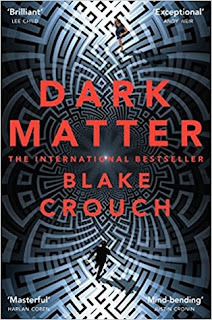 Although the idea of parallel universes isn't new, Blake Crouch approaches it from a slightly different angle that is, quite frankly, mind-boggling! I felt as if I was trapped somewhere between Dr Who, Stargate and Sliders! Blake Crouch is a bestselling novelist and screenwriter. He is the author of the novel, Dark Matter, for which he is writing the screenplay for Sony Pictures. His international-bestselling Wayward Pines trilogy was adapted into a television series for FOX, executive produced by M. Night Shyamalan, that was Summer 2015's #1 show. 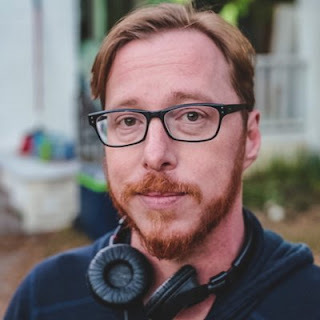 With Chad Hodge, Crouch also created Good Behavior, the TNT television show starring Michelle Dockery based on his Letty Dobesh novellas. He has written more than a dozen novels that have been translated into over thirty languages and his short fiction has appeared in numerous publications including Ellery Queen and Alfred Hitchcock Mystery Magazine.